In the heart of this western province where scalding water emerges from the earth and peaks of volcanoes kiss the hovering clouds, sunshine, wind and rain have been culled to create a source of power that has earned this nation a gold star in renewable energy. For 100 consecutive days ending in mid-March, Costa Rica did not use any fossil fuels to generate electricity. Instead, it relied on primarily hydropower plants to light up households across the country, with added power generated from wind, geothermal and solar projects. Experts say Costa Rica’s fossil fuel-free streak is impressive though not a surprise: The nation of nearly 5 million people has pledged to become carbon neutral by 2021 and the country’s electricity matrix, on average, is already nearly 90 percent renewable, making Costa Rica the second most “renewable country” in Latin America following Paraguay in terms of electricity generation, said Juan Roberto Paredes, senior renewable energy specialist at the Inter-American Development Bank (IDB). Paredes points to the country’s diversified sources for renewable energy as its hallmark. By relying on various sources, Costa Rica has been able to both provide electricity and keep costs down by not having to import a large amount of costly fossil fuels. Felix Mormann, a University of Miami law professor who teaches and writes about environmental law and policy, said Costa Rica’s achievement is noteworthy. Like other countries relying on renewable energy, Costa Rica gets most of its carbon-free electricity juice — about 80 percent — from hydropower plants operated by the state-run utility provider, Costa Rican Electricity Institute (ICE). But this year, geothermal, solar and wind energy sources have given the nation an additional boost to limit the use of coal or petroleum to keep light bulbs glowing and appliances humming. At the ICE hydroelectric plant and reservoir in the shadow of the Arenal volcano near the town of Tilarán, the production of electrical power is generated through the use of the gravitational force of water stored in the reservoir that flows through turbines connected to large generators. This plant provides some 21 percent of energy for the country, said supervisor Alberto Sanchez Fernandez. Along the hilltops, giant wind turbines like those of an airplane propeller, can be seen circulating at various speeds, depending on the strength of winds that flow through the area. The windmill project began in the 1980s and about 30 wind turbines can now provide electricity to about 26,000 homes. “This accomplishment is the result of making use of our natural resources and experimentation,” said Carlos Manuel Quiros, a company spokesman. Tilarán, the town’s name, comes from the indigenous word “Tilawa.” It means place of wind and rain. Billboards in Bagaces and nearby towns dub the area as the cuna (cradle) of geothermal. Power lines emit a high-pitched sound that can be heard for miles, like crickets on steroids. And the smell of sulfur is reminiscent of the odor that comes from cracking warm hard-boiled eggs. The geothermal plants Miravalles I y II use subterranean heat to produce electricity. Wells are drilled deep into the earth and the water that comes out of the wells are 85 percent liquid and 15 percent steam. The steam is used to turn large turbines, which run electrical generators. Some 35 wells in the area are used for production, said Darlyn Gutierrez Rodriguez, an assistant engineer. Geothermal now contributes about 14 percent of Costa Rica’s energy and will likely grow as the government makes further investments. In a country with six active volcanoes and dozens more inactive, geothermal provides an exceptionally reliable source of power, experts said. Just a short drive away, is a solar panel farm built with equipment donated by Japan. The project, comprised of 4,300 panels, began in 2012 and now provides electricity to about 550 homes, said supervisor Mauro Arias. While the power produced by this method remains small, Arias said similar farms have been built in neighboring Nicaragua and Panama. “It’s cheaper, cleaner for the environment,” he said. Other countries in the region could follow Costa Rica’s steps about diversification as they also have untapped renewable potential. This is the case of geothermal resources in the Andean countries where volcanic activity is comparable to Central America but no electricity so far is produced with the heat of the earth, said Paredes of the IDB. But even as the use of renewable energy is applauded, there are potential setbacks. Droughts come from limited rainfall, which can affect electricity production. Wind and solar availability can vary from year to year. And, of course, there’s the issue of climate change. Storing energy in an efficient manner also is a work in progress that will get better with technology. In Central America, the IDB is supporting the electricity market with Costa Rica and five other nations: Guatemala, El Salvador, Honduras, Panama and Nicaragua. “In order to cope with this variability, you can diversify and use complementary renewable sources such as wind and hydro, use smarter grids to manage variations better and have more interconnections to other countries in case you have excess electricity,” Paredes said. For Costa Rica, the more measurable results of its renewable energy success will be known by early 2016 when a full year worth of data will be available to compare with the previous year. By then, the largest hydropower plant in Central America should be in operation. The Reventazón Hydroelectric Project, located in the eastern province of Limón, is expected to be ready for operation by January. 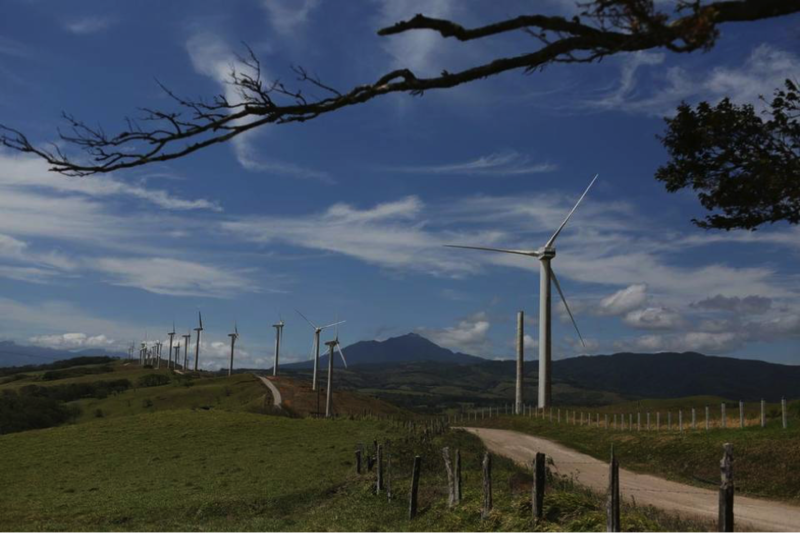 Whether Costa Rica’s renewable energy model can be implemented in other countries will depend on the topography and climate, said Mormann of UM.